The Tomahawk Black Dragon sword kit is the ultimate samurai weapon collection for the true warrior soul! This set puts the beautiful and deadly weapons of a Japanese samurai right into your very own hands! 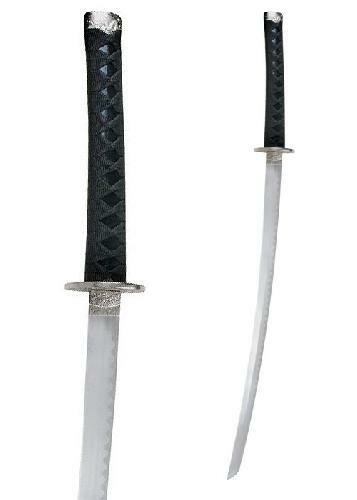 It features a katana, a wakizashi, and a tanto, each with a traditional pattern blade crafted from solid stainless steel, an authentic style handle with black cord-wrapped hilt and ornate habaki, tsuba and kashira. Each blade comes with its respective wooden sheath with black lacquer finish, splendidly accented with an imitation mother-of-pearl dragon design that highlights this outstanding collection. Delivery includes a black wood display stand to show off the complete set.